This document describes how to HotSync your Sony CLIE NX60/NX70V Palm Pilot via 802.11b WiFi to your main computer. The Sony CLIE documentation is very lacking in this respect and it was only by speaking with Sony Tech Support and asking pertinent questions that I was able to figure out the final missing piece of the puzzle. Document last updated at 4:00PM on 5th December, 2002. An installed and correctly configured 802.11b WiFi card in your PC or Mac. Verify that your PC or Mac is configured correctly to access the network via TCP/IP. 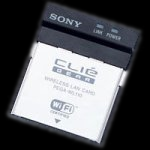 Install the WiFi card by following the Sony CLIE documentation. 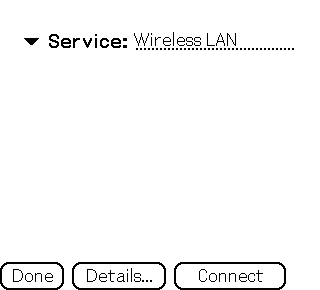 Verify that you can connect to your WiFi router and the network from the Sony CLIE. Verify that you can HotSync normally via the Serial or USB cable. 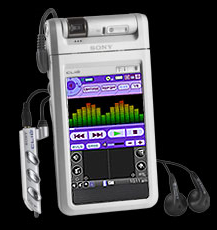 Open the HotSync application on the Sony CLIE, usually found under the “Setting” category on the Sony Launcher. Select the “Network” option button. 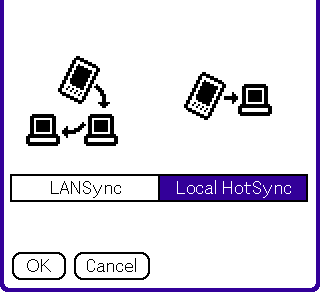 Select the “Local HotSync” option button. Select “Primary PC Setup” from the Options menu (command P). Enter “! !” (two exclamation marks) to inform the Sony CLIE to ignore the machine name. 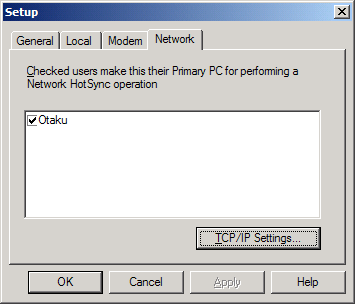 Enter the IP address of the PC you normally perform a HotSync with. From the “Run…” command on the Windows Start Menu enter “cmd /k ipconfig” and press ENTER. The IP address will be shown in the Command Prompt window. You can close this window once you have finished with it. From the “Run…” command on the Windows Start Menu enter “winipcfg” and press ENTER. Select your network card from the drop-down list. 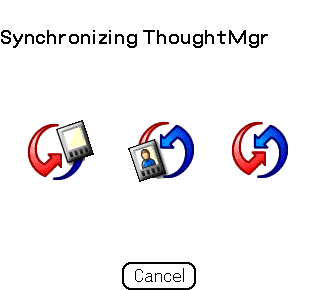 Or you can use the Hotsync Manager on the PC. Select “Setup…” from the drop-down menu. The IP address is in the “Primary PC Address” info box. Enter the subnet mask in to your Palm Pilot, this is optional. 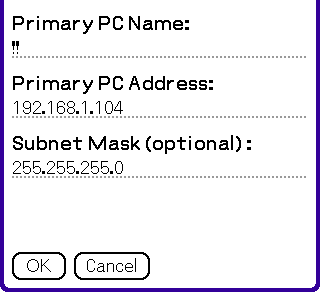 To obtain your subnet mask from the PC, follow the same steps that you did for obtaining your IP address. 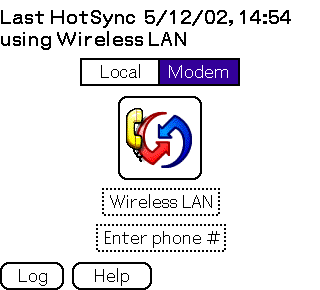 On the “HotSync” screen of the Palm Pilot select the “Modem” option. Click the “Service” button, it will probably say something like “AT&T Worldnet” or “Compuserve” and it’s located immediately below the large HotSync button. Select the “Service” drop down list box and select “Wireless LAN”, or the name you selected for the Sony CLIE’s WiFi connection. This usually the last entry in the list. Right click on the HotSync Manager in the System Tray. Place checks by all the users who will be allowed to perform a network HotSync. 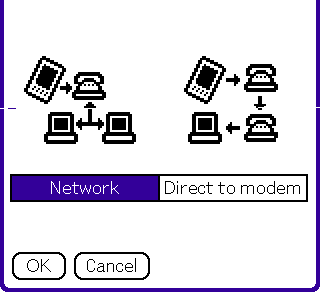 Select “Network” on the drop-down menu so that it is selected and has a checkmark next to it. You should now see the HotSync application begin connecting. 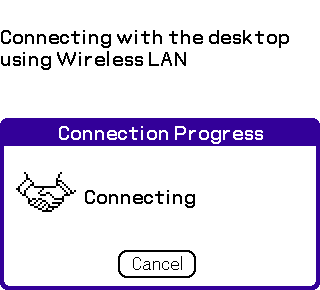 It will first attempt to establish a WiFi connection if the Palm Pilot is not already connected. Within a few seconds the HotSync window on the primary PC should show up and the HotSync will proceed as normal. Ensure the PC HotSync Manager is running.